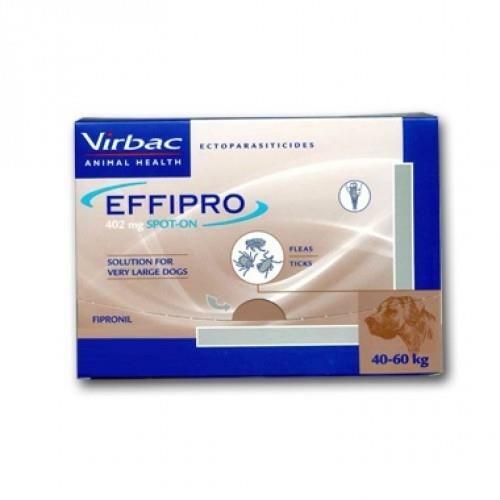 Effipro Spot-On for XL Dogs 80-120 lbs (40-60 kg) - 4 Pack treats and prevents dogs from flea infestations for up to 8 weeks and tick infestations for 4 weeks. Apply direct to the skin. Each pipette contains 4.02mL (402mg) of fipronil.